I think I finally figured out what’s odd about J.G. 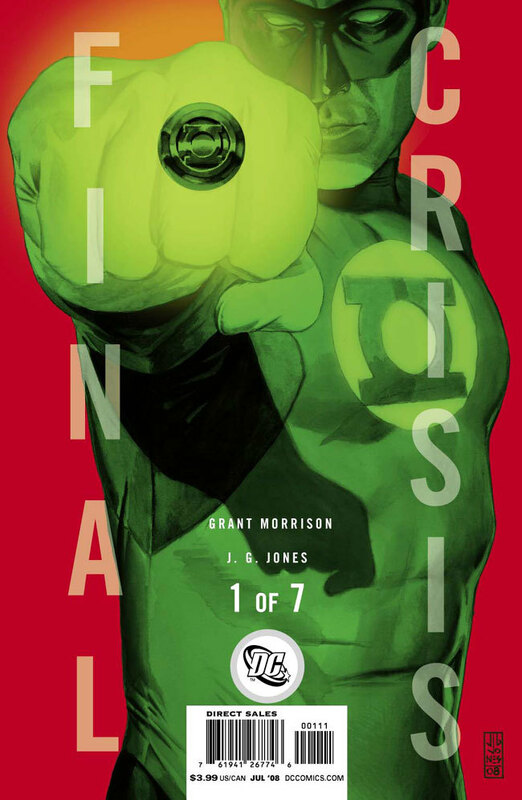 Jones’s otherwise great cover for Final Crisis 1: the ring’s not lit up. Clearly he spent some time playing with a flashlight and a digital camera to figure out how a Green Lantern ring would cast shadows, but the ring itself is dark and the logo easily visible. It’s like the light’s coming from the space between Hal Jordan’s knuckle and the back of the ring. Shouldn’t looking straight on at the ring be like looking right at a lightbulb?